This is a single church parish at the heart of the growing village of Steeton (2011 population 4375) in the Aire Valley. It is located in magnificent countryside but only half an hour from bustling city centres. The role is part-time / half stipend (3 days a week plus Sundays). Closing date for applications is Monday 27th May 2019 with visits and interviews on 13th and 14th June 2019. 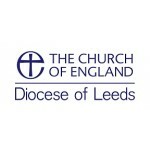 For an informal conversation please contact Ven Dr Andy Jolley , Archdeacon of Bradford, on 07973 458403 or via email. Will help us to play our part in ensuring the church is working for the peace and prosperity of Steeton. Helps others catch energy, enthusiasm and is willing to grow with everyone else. leading the administration of the parish and undertaking any other reasonable duties as appropriate. St Stephen’s Steeton is an important and growing church within the Bradford Episcopal Area and the Diocese of Leeds. It is a significant focal point in its local community, and the finances and buildings are in good order. We are looking for an enabling leader, capable of managing change carefully and sensitively, who can work with the congregation of St Stephen’s to keep growing the church, developing confident discipleship, and nurturing relationships within the village and local community in creative ways. The Deanery of Aire and Worth, now 2 years old, is comprised of parishes with a similar demographic to this benefice, many of whom are experimenting with mixing new approaches to worship and mission alongside inherited patterns. The new incumbent will therefore find a group of creative and supportive colleagues in the Deanery chapter, all of whom will be familiar with the joys and challenges that each other faces. We expect the new post holder to work with a spirit of generosity in sharing wisdom and insights about ministry within the Deanery of Aire and Worth, and across the Episcopal Area.